Raw sewage going into our seas. In light of the recent EPA report on the discharge of raw or partially treated sewage into Irish waters, we call on all local authorities to halt granting planning permission until adequate wastewater treatment is available. We have seen bathing beaches in Fingal closed to swimmers many times in the past few years, of course the council will say that it is Irish Waters responsibility now, but the council still gives planning permission while knowing full well this will result in discharges of raw sewage into our coastal waters.In fact successful prosecutions have been taken in the past against other Local authorities for sewage pollution events, just after completion of costly upgrading of major treatment plants. The closure of beaches not only impact on swimmers locally, but there are quite a few tourism buisnesses depending on clean seas who are also affected. There have been mary reports of dogs being very ill after being on the beaches. Inshore fishermen also suffer badly if water classification drops from A to B, as market prices are affected. At times fisheries have been closed, this leads to displacement of the boats and puts pressure on other areas. Claiming that rain events mean wastewater treatment plants are occassionaly overloaded is simply not good enough, we have been warned many times that severe weather event will become more numerous in the future. All discharges are meant to have had at the minimum secondary treatment, with major plants having tertiary treatment. To our knowledge only Malahide has tertiary treatment in place. 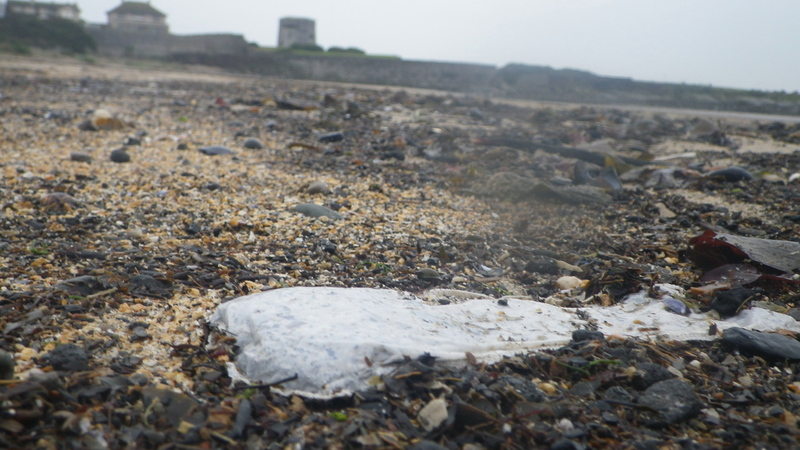 Primary treatment would screen out large particles such as sanitary towels, so finding these on beaches is a fair indication that raw sewage is being discharged into our seas. We acknowledge the present housing crisis but do people want houses in a filthy environment. In line with the precautionary principle we call on local authorities not to grant planning permission to developments until such time as treatment facililities are in place. The fact that only Rush was identified in the recent EPA report as having an ongoing problem does not mean the entire Fingal coastline is not at risk. Raw sewage discharges in Balbriggan, Loughshinney and Rush. Many towns, communities and voluntary groups already clean the beaches at no cost to the council, they may not even be aware that they are putting their health at risk doing so. While work is ongoing at present, more housing means that it will struggle to keep pace. The attached photos were taken in Skerries. 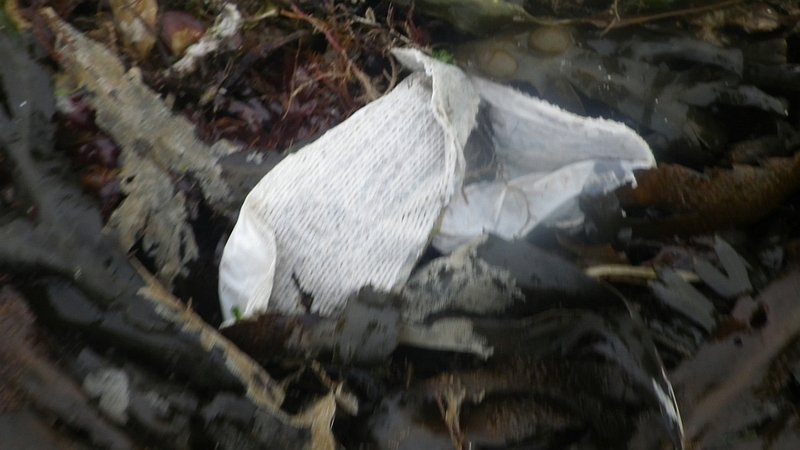 Sanitary towels have plastic liners and would be screen out by primary treatment so these entered the sea as raw sewage. Fabric still attached means it has not been in the sea long enough for it to rot off. 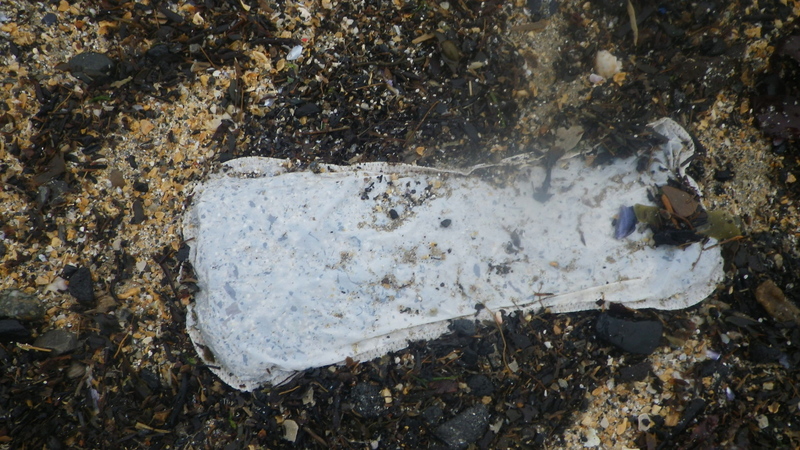 This evidence of raw sewage can be found on most Fingal beaches all year around. Yet the councillors will no doubt all be at the unveiling of the sculpture to commemorate the Sherries win in the national tidy towns competition, there to slap each othr on the back over their great achievement. A great achievement by the Sherries Tidy towns Committee, despite the sewage litter on the beach, for which the councillors are responsible.